There are many reasons why clients may decide to sell a business. We believe in understanding seller motivation and a seller’s reasoning behind the decision to sell his or her business, in order to provide counseling and help find the best fit between the client and a prospective buyer. In some circumstances, clients are motivated by financial gain and the desire for liquidity. In these cases, the search to find the most appropriate buyer may hinge on a buyer’s ability to offer the highest price, ideally, in cash. In other circumstances, clients may be motivated in the sale of the business by a desire to retire or move on to something new and pursue other interests. In these cases, clients may be reaching age of retirement, dealing with health concerns, involved in disputes among the owners, or lacking a successor. These clients may not be motivated as much by the price than by the timing of the sale and the prospect of relief from further business responsibilities. The selling of a business often involves balancing a seller’s personal interests and the desire to find a buyer that will steer the business in the right direction. Our corporate attorneys will guide clients and help them balance these competing interests. Other clients may decide to sell their businesses because they are in search of additional resources to grow and remain competitive. Examples of these resources are: capital, professional management, and more advanced technology. These considerations may lead a client to sell a business to a strategic buyer who has the resources and familiarity with the business and industry. In other situations, a client may run into financial or regulatory issues that can lead to the decision to sell. In these cases, timing may be more important than price. Another consideration may also include whether the sellers want to continue working for the buyer or if the sellers want to ensure key employees have jobs. 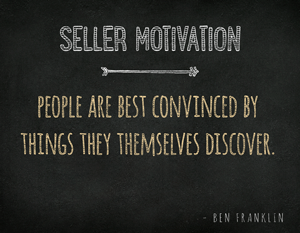 Sellers often have pride in the business they have worked hard to build over the years. The selling of a business involves a balancing of a seller’s personal interests and the desire to find a buyer that will steer the business in the right direction. Our Chicago corporate attorney will guide clients and help them balance these competing interests.